 A lap around the Enduro Course at the KTM Ultimate Race US Qualifier. Last year’s KTM Adventure Rally in Park City, Utah took a different spin than usual. 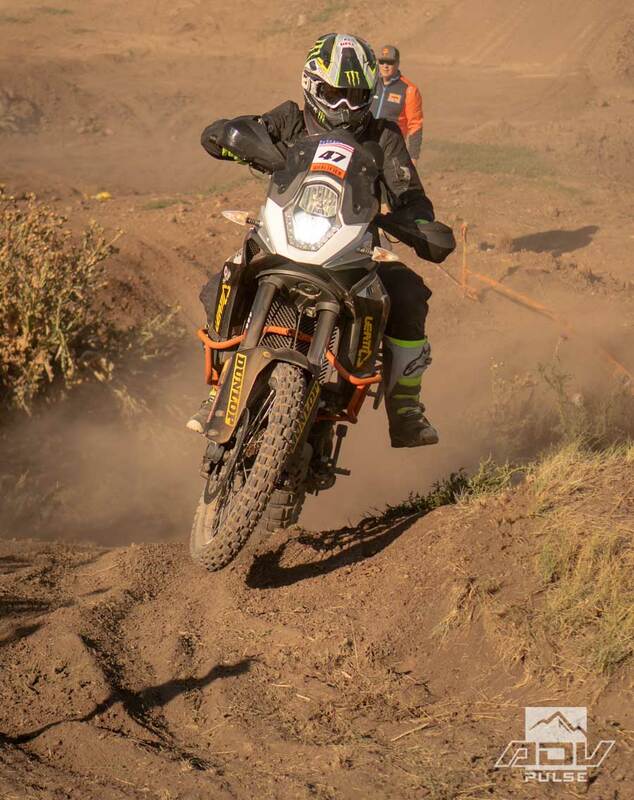 The event ran in conjunction with the KTM Ultimate Race Qualifier where competitors could earn a spot racing a factory-prepped 790 Adventure R in the 2019 Merzouga Rally staged in Morocco. Fifty eager competitors signed up for an opportunity to showcase their skills on big twin KTM adventure bikes, riding everything from souped-up 950 Super Enduros to stock 1290 Super Adventure R’s. Competition consisted of a bike lift and wheel change challenge, navigation tests and a timed Enduro Course. 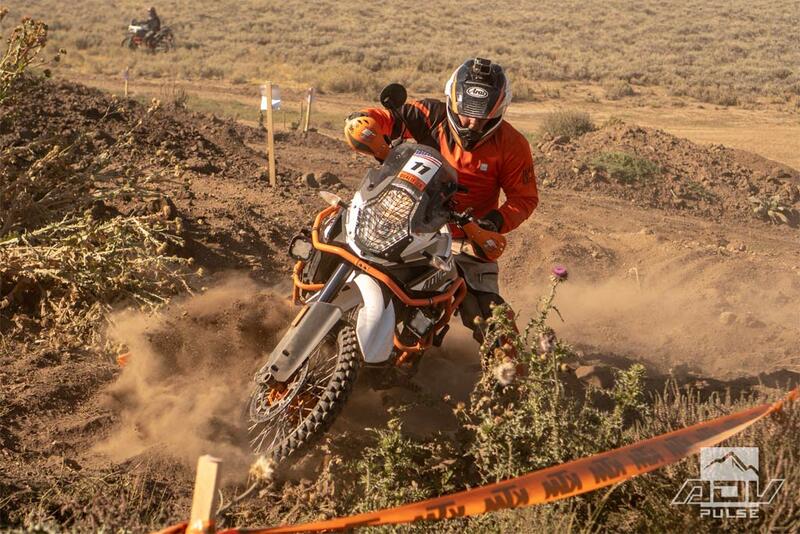 The Enduro Course, constructed by Quinn Cody and other KTM pros, was the only portion of the competition that focused purely on speed. They managed to mix in a little of everything – hills, descents, sand, mud, banked turns, and choppy terrain – giving riders a test of skill. With adrenaline pumping, riders pushed their bodies and prized machines to the max for roughly 3 minutes over the 1-mile off-road course. And with combined times from two separate laps being added to each rider’s overall score, every second was precious. Most riders agreed, the Enduro Course was their favorite part of the competition. The fastest lap went to 50-year-old Scott Myers with a 2:42 – a full 11 seconds faster than the next fastest competitor. Scott would go on to finish second place overall in the competition to win an all expenses paid trip to Morocco. We look forward to seeing how he and first place finisher Jordan Huibregtse do in the Merzouga Rally starting March 31st. KTM intends to put on the Ultimate Race again during the 2019 Adventure Rally, so if you didn’t get a chance to do it last year, start planning for this year’s event. We expect the competition to be even more fierce, so start training and come prepared! To read more about the 2018 KTM Ultimate Race US Qualifier, check out our recap here. Note: This video was shot with the new Garmin Virb 360 action cam, which captures full 360° video in 4K – allowing you to select different viewing angles in your edited video. It’s like having your own cameraman sitting on top of your helmet. The camera also features image stabilization technology, although it does make the Enduro Course look tamer than it actually was! Congrats to the Winner of our 2018 Ultimate Adventure Giveaway!  Here Is How You Can Win A New KTM 790 Adventure R! Congrats to Scott and Jordan! Old guys can still ride!